Here we are live from the 2013 Google Analytics Summit. Much like last year, we are allowed to live blog the event keynote and we have Paul Muret joining us to discuss the future of Google Analytics. The theme to today’s conference is Access, Empower, Act and it is clear that Google is investing in making all of these actions easier through Google Analytics. Paul Muret starts us off by giving an analogy of how things used to work. Back in the day, building a house meant doing everything manually. In fact, pretty much everything we did was manual. Over times the industrial revolution has made manual activities less prominent. For example, in 1900 36% of Americans worked on farms. Now it is only 3% of Americans on farms. Yet we have more food than ever. We shifted to the information age from 1970-2000. Today we are in the digital age. To put things into perspective, Paul gives an analogy of the phones in our pocket being 15x more powerful than the first Cray super computer. Wow! Technology is no longer a barrier to getting things done and many technologies are already mature enough to give us what we need. Google Analytics is a very mature product and today’s announcements are about how they are making things even more powerful for the user. That is the key takeaway here – the power is in people and we need to empower the people in our organizations to succeed. This is especially important as we experience a change in consumer behavior that is absolutely staggering. There are now 2.7 Billion Internet Users, E-Commerce is $224 Billion in annual sales and there are 4 billion videos watched each day on YouTube. There is a shift in consumer behavior from buying from brick and mortar shops that is moving to online. This creates a completely different paradigm of measuring consumer behavior that needs our attention. Google Analytics is helping us put together a picture of our customers. As marketers, it needs to be easy to collect data about our customers. We need a tool that allows us to connect the right data to the right people. This can include purchase behavior, demographic information and just about anything that helps lead to a better customer experience. Many of the product releases from Google have been aimed at making data access easier and more reliable. Google Tag Manager is a prime example of a tool that was put in place to make data more accessible to marketers. Google Analytics helps connect data to the right people. Another need is to provide tools and techniques to better analyze customers and make marketing decisions. This can be viewed as items like the Google Analytics interface, which provides several reports to help make decisions about your company’s marketing direction. 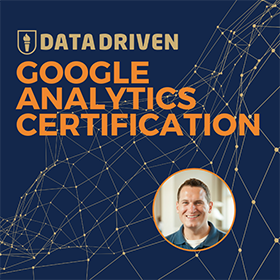 This is the aspect of Google Analytics that has traditionally been my favorite and where much of the focus goes in product development for GA.
We need to be able to act on the data and leverage insights. This is the area that I feel that web analytics has the most room to grow and is the area where most tools fall short to this point. I am very interested in seeing how Google is going to make adjustments to Google Analytics in order to get people to act more often. I think that this is a combination of needing further education, evangelism and ease of use to get this done. Not a small task for a product or the marketplace as a whole. Change the way that advertising investments are allocated. This may mean shifting between digital programs or replacing advertising dollars from traditional methods. What are we actually trying to change for our customers? These needs are best described with the Data Driven Opportunity Matrix, which Paul goes on to explain. Access and Empower is a prerequisite to have data driven opportunities. These need to happen before acting can be widely adopted. This is the direction where Google has taken GA over the years. Acting on this data is where economic value is created. Paul says that there may be ways to automate the process and create new opportunity to create more value (I’m very interested in hearing what he means here). Fairmont Hotels used GA data to improve their results from social media. The Social Media metrics they were using were really lame, so they used Google Analytics and doubled traffic and revenue after one year of optimization. The key was connecting social campaigns to onsite activity. They learned that different countries had different preferences for social media and promotions worked differently in different areas. Homogenous strategy did not work and they needed to map activity to customers in the market to get great results. Google Analytics provided them the data and they had to act on it to become successful. Last Example involved Ross Twiddy talking about how he used Google Analytics to create a sense of urgency to influence earlier bookings. They used the Google Analytics real time API to create a widget that shows how many people are currently looking for a vacation on that page. This had a significant impact on conversion by creating scarcity. The real time API gave the website a way to influence their visitors and convert them sooner. 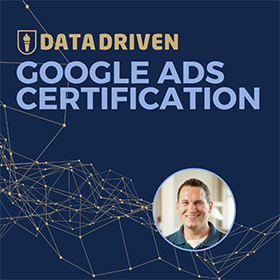 I found that this was a great use of data to improve the marketing process and it’s encouraging that they could use the Google Analytics API to get this done. This is the type of automation that might allow us all to act on data in a passive setting. At first I didn’t fully understand what automate would mean, but now that I see how we can surface data to users using the real time API, there is a way to use GA data to automatically create demand. Paul closed his keynote presentation by talking about how we are piecing together a picture of who our customers are, bit by bit. 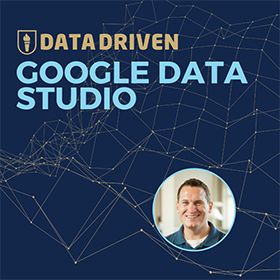 Google is structuring the Google Analytics product to allow us to piece together that customer story and journey into a single data repository to make these decisions. I am definitely encouraged by the way they are getting this done. Google has solved much of the problems we have collecting data. They have even given us a great set of tools to empower us to make suggestions on how we can improve results. The last paradigm may be the toughest of all and that is to act on this information. If we can automate this process, it might become a lot less daunting of a task. I am excited to see where things go in the future. Still there? Why don’t you read my post about the 14 new announcements they are releasing in Google Analytics!